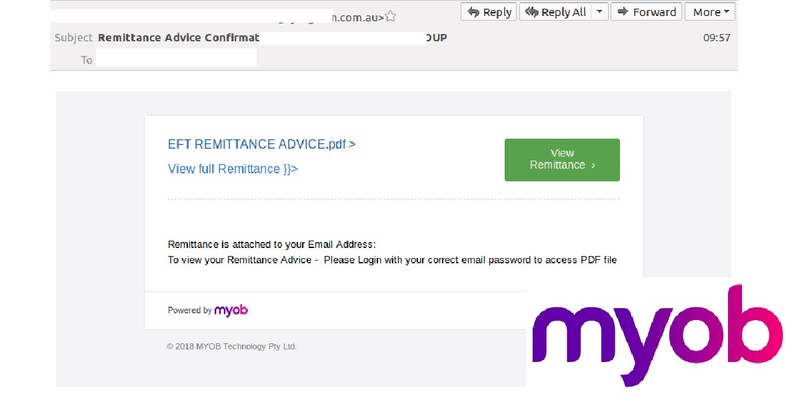 Take a second look before viewing an online remittance purportedly issued by MYOB. 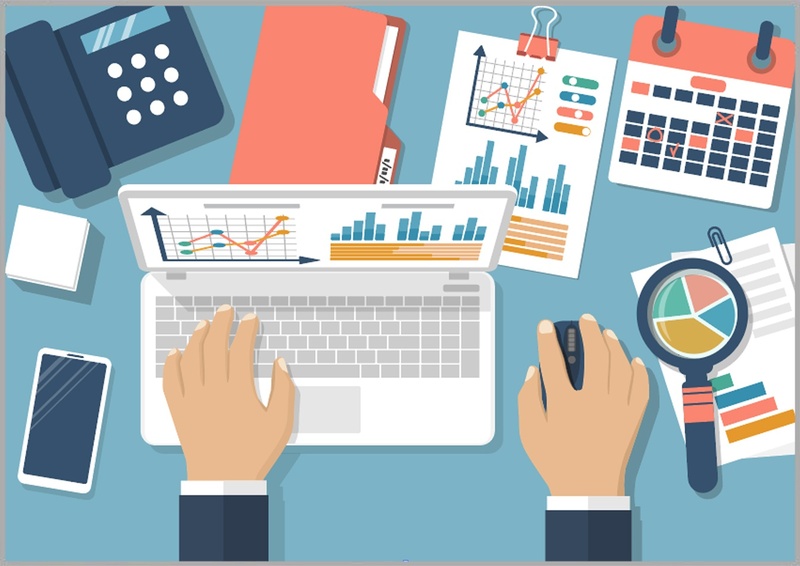 The well-known accounting software company is being mimicked in a phishing scam currently circulating. The scam was first identified and blocked by MailGuard on Thursday, with subsequent runs continuing into Friday. 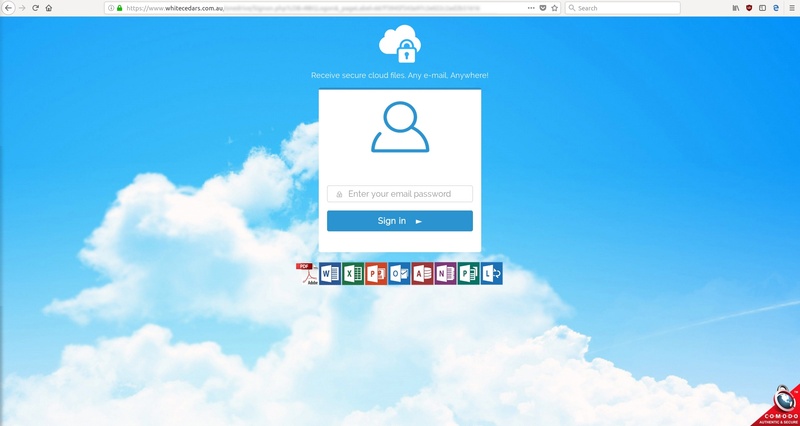 MailGuard has detected a new phishing scam using MYOB branding to deceive victims into giving up their Microsoft login data on a phishing site (shown in the screenshot above). 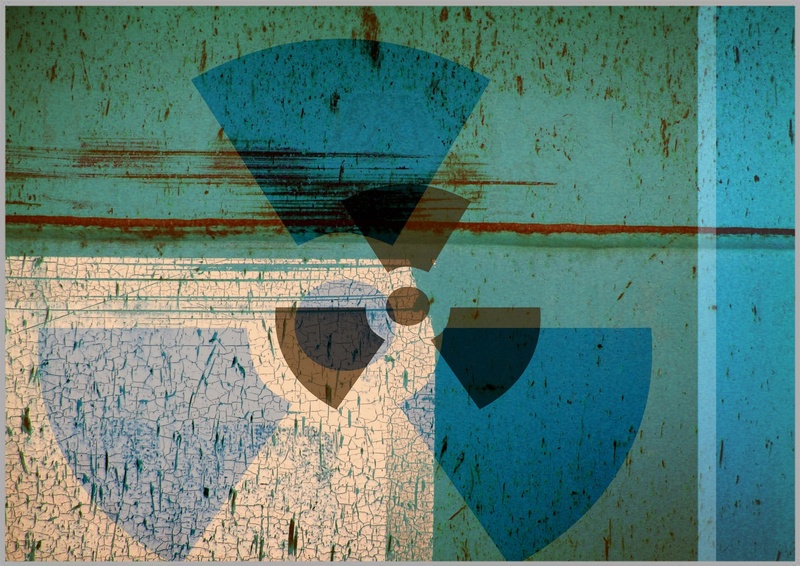 A new email fraud attack has been detected by MailGuard. 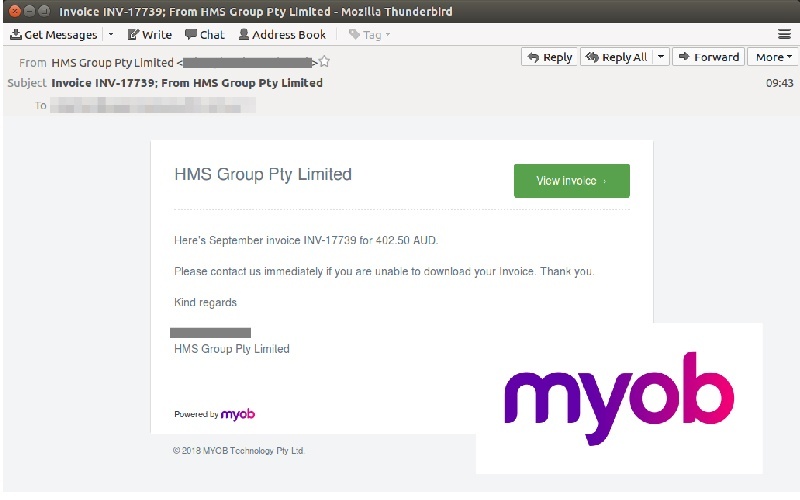 The scammers behind this attack are exploiting MYOB’s brand name to persuade potential victims their email message is a legitimate invoice notification. 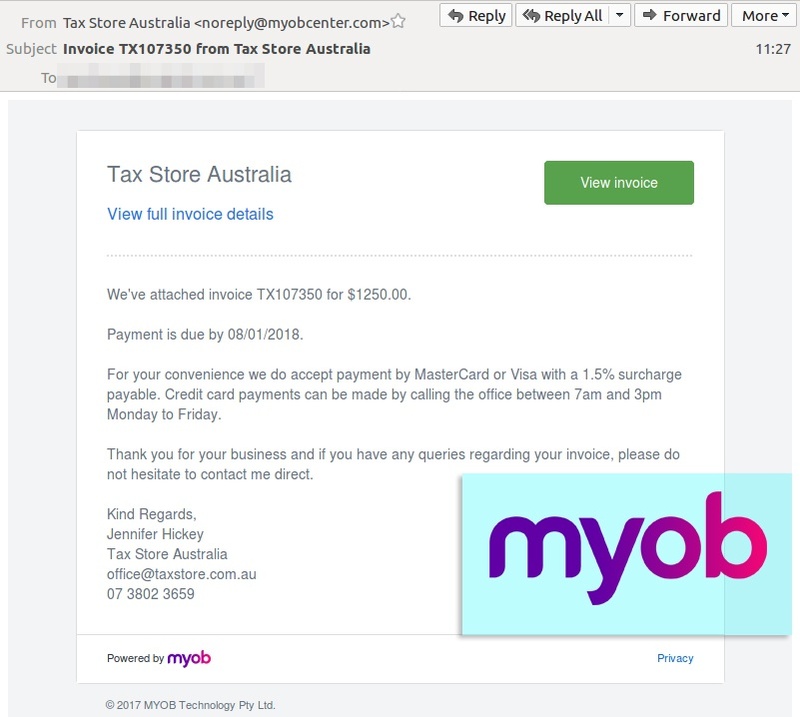 If you get an email message that seems to be from “MYOB” today, make sure it’s the genuine article and not a scam. 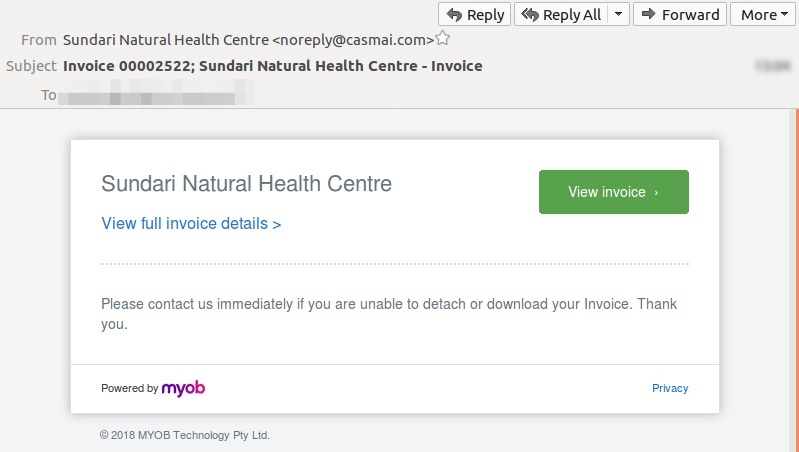 MailGuard has detected a new fake invoice scam brandjacking MYOB. 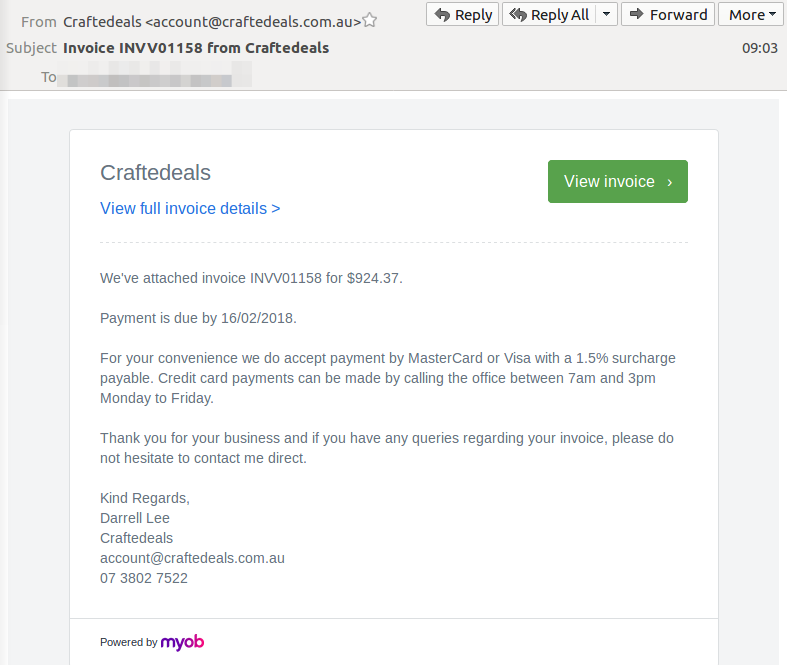 This message is designed to look like a legitimate invoice delivery email. 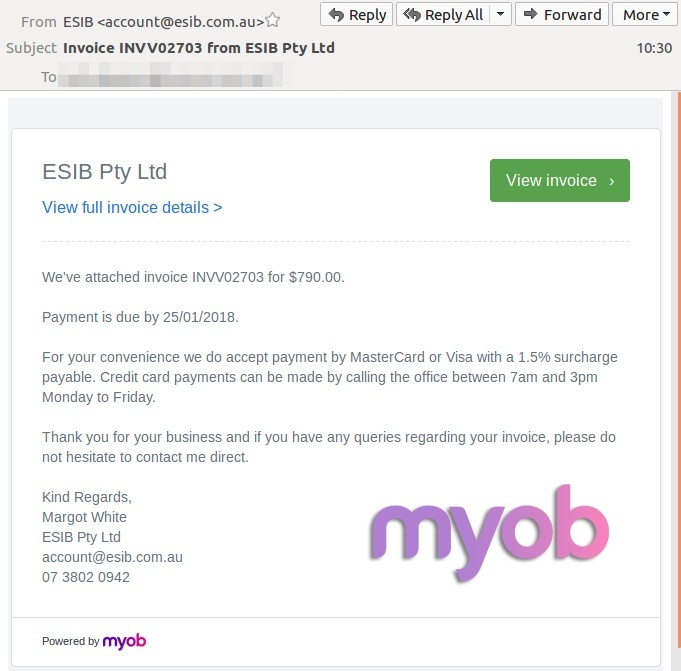 It has MYOB branding on it, and a ‘view invoice’ button. 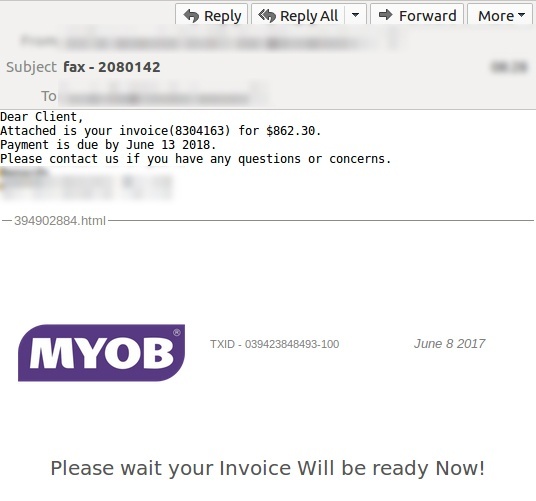 Late this morning MailGuard detected a 'fake invoice' email scam using MYOB branding. 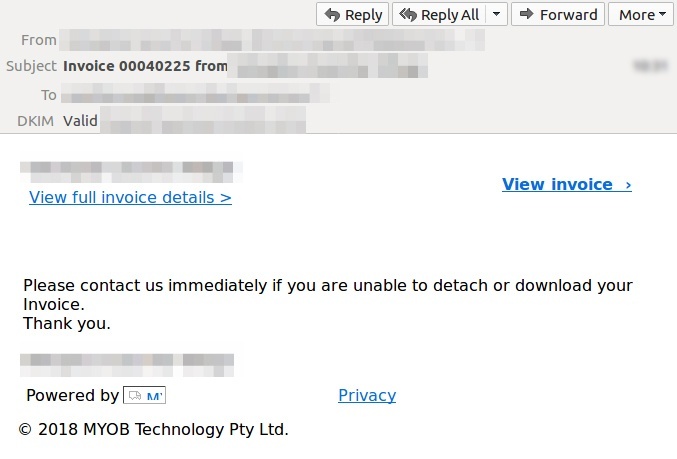 The messages used in this cybercrime attack are well formatted with authentic looking MYOB branding in the footer. 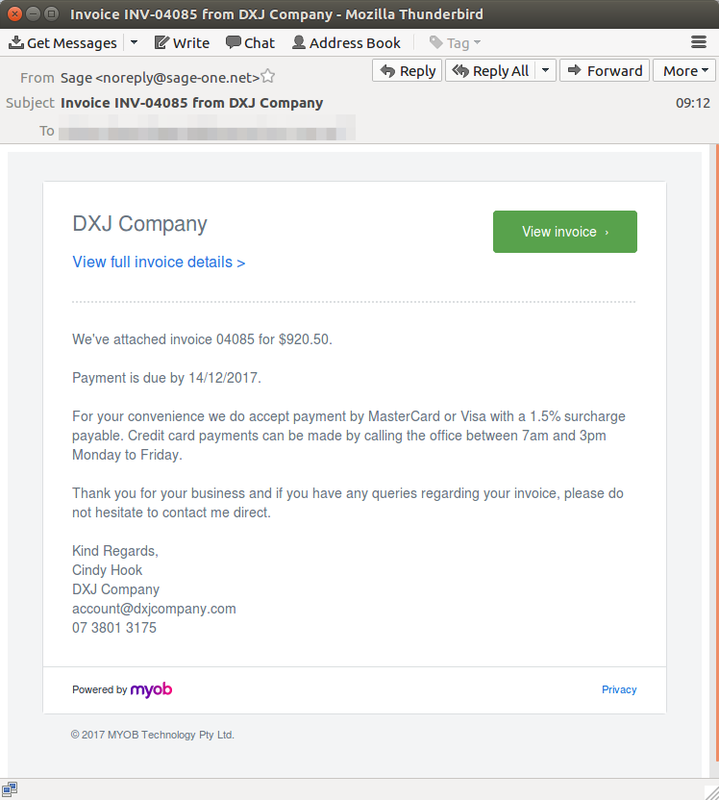 MailGuard has detected a new scam email being sent out in large numbers this morning. 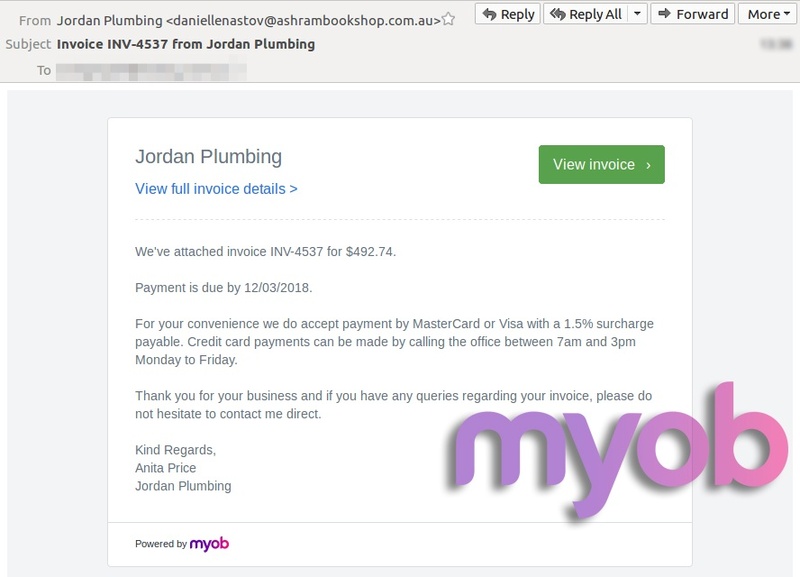 Australians have been urged to take a second look before viewing an online invoice purportedly issued by MYOB.